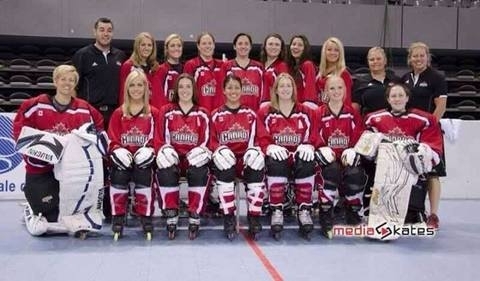 The Canada Women’s Inline Hockey Team entered the world stage when it competed in the inaugural FIRS Women’s Inline Hockey Championships in Rochester, USA in 2002. After being crowned Gold Medal Champions that year, the expectations were set. With the exception of 2007 and 2015, our women have participated in the FIRS World Championships every year since and continue to pursue the top prize. Since that inaugural FIRS Women’s World Inline Hockey Championships, the continents of Africa, Asia, Australia, Europe, North America, and South America have been represented. As a testament to the growth and advancement of the sport, the level of competition continues to improve markedly year to year. Canada has always been a strong competitor, finishing top 3 each year, with having won numerous FIRS World Inline Hockey Championship titles.